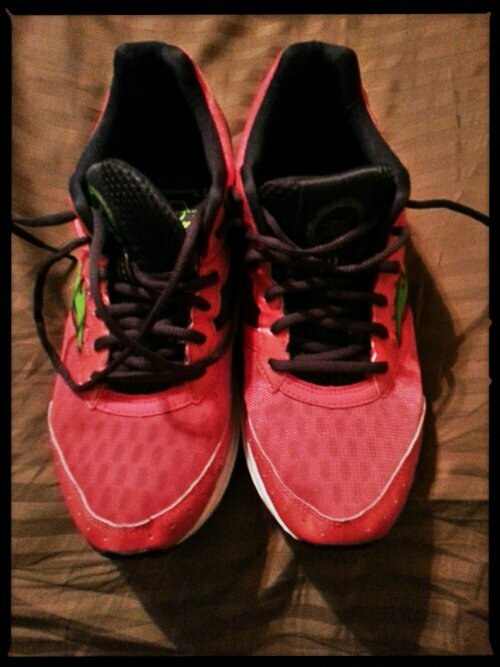 When I wear them, I feel like I can do pretty much anything involving exercise. Like I’m invincible. 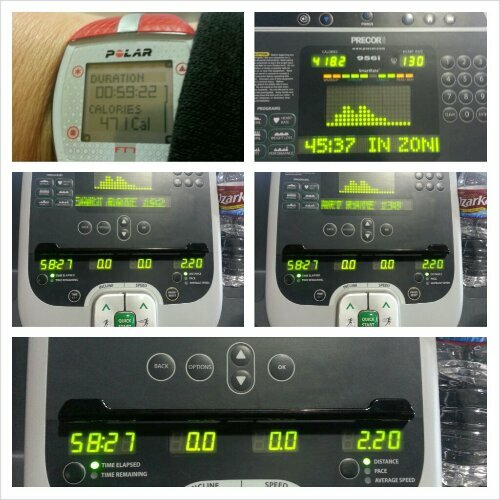 I was a beast on the treadmill this morning: 2.2 miles on an incline most of the way. And I ran! I ran for part of my workout. I didn’t run after about the first 30 minutes because I felt a little twinge in my left knee, which is my bad knee. Not wanting to risk injury, I just walked really damn fast (for me) for the rest of the workout. I started to get tired about 40 minutes in, and I was only about 1.6 miles in, and I told myself that I could do it–I could get to the 2-mile mark, even if it meant I had to slow my roll to get there. I looked down at my feet, saw them moving fast, and just kept on until I got to the cooldown portion of my workout. I did it. I did a little over 2 miles on the treadmill today, and a year ago, there’s no way I could have ever done that. Hell, 5 months ago I couldn’t have done it! So that leads me to the next part of this post which is about positive self-talk. Last night I posted a composite of myself on my wedding day in my wedding dress with two photos of me wearing the same dress yesterday. One of my cousins had commented that I had changed so much and looked really good, and I commented back that yes, my face has changed but the turkey wattle that is my neck remains. One of my friends commented that she noticed that I was putting a lot of negative self-talk out into the ether lately and that I was doing myself a lot of good with all the hard work I’ve been putting in. I think this was a nudge to remind me to be gentle to myself and to be kinder to myself. That’s a hint I think I’ll take, because she’s absolutely right. I sat in a booth for the first time in a long time at dinner last night. I have eaten seafood five times in the past week. I resisted the chips and salsa at dinner tonight. I wanted to go get on the treadmill and get my 2-mile walk in this morning. I am drinking nearly a gallon of water each day. Today’s eating was okay. I was short 5 grams of protein today but I’m not worried about it. I still got in 75 grams. My carb intake was higher than usual at 56 grams, but I did an hour of pretty vigorous exercise, so I think I’m okay there. Tomorrow will be better. Saturday's food choices, from upper right: Kung Pao chicken (no rice) from Central Market; shrimp brochette, bean soup and guacamole; turkey burger patty with grilled onions and a few chips (i ate 8); leftover grits from last night's dinner; multivitamin and calcium supplements x2, iron supplement. Not shown: slice of Applegate farms chicken breast and slice of Tillamook sharp cheddar cheese. 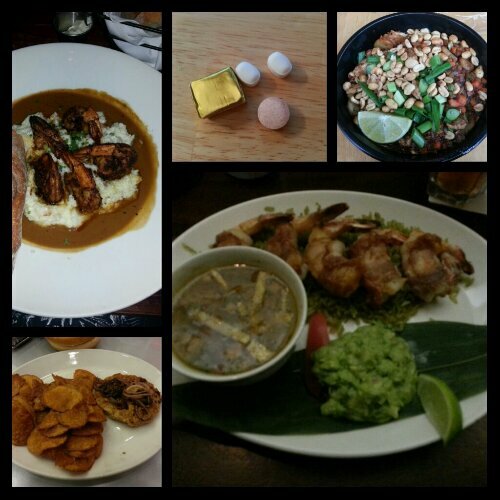 This entry was posted in daily bites, eating, exercise, la guerra, oh behave!, post-op, the sleeve, vsg, weight loss surgery, werk! and tagged aspiring runner, daily bites, eating, exercise, little celebrations, oh behave!, post-op eating, post-op life, runner wannabe, running, she's got skillz, sleeve gastrectomy, sorry for sleeve rocking, things of win and awesome, VSG, vsg realness, WLS, workin' on my fitness. Bookmark the permalink. We have the same shoes and I feel the same way about mine! My friends tease me because they are so bright but I love them.